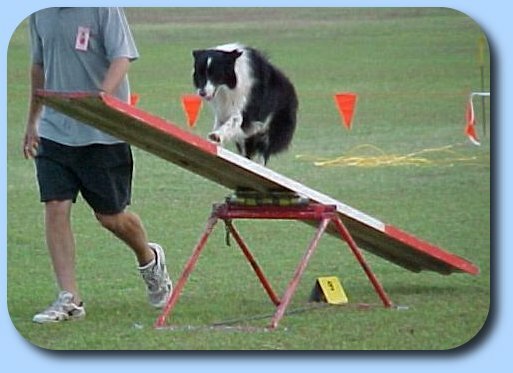 2000: It was a bit of an unlucky year in the open agility ring, but he was close. Baldi was too busy sniffing in the ring, but the nose is a benefit in tracking. He did find his ET title very tough as well. Pulling a push bike for 18km with the brakes on eventually wore him out, so he had to trot the last 2km. 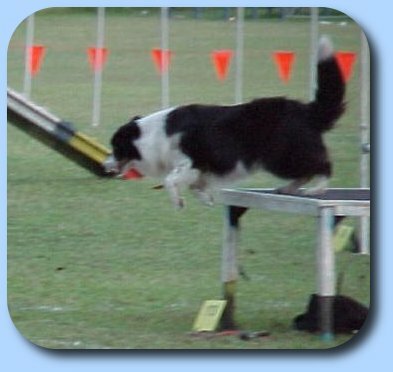 2001: Garibaldi aced his jumping dog title in 2001, getting 4 quals in 4 trials, 2 of those 1st places. 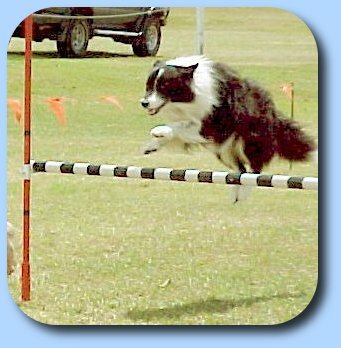 He was later clipped at the post for local club Top Novice Jumping Dog by his daughter Ivanova. 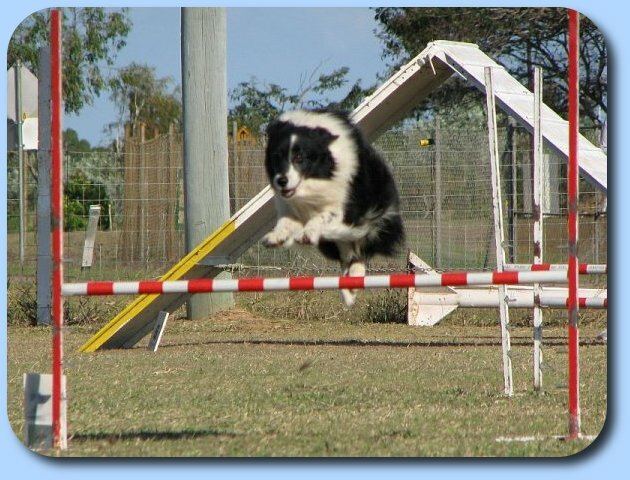 Open jumping has been tougher, but has 2 quals there and 2 quals in his open agility. 2002: Mr Garibaldi quickly completed his ADX early in the year, with his JDX soon after. 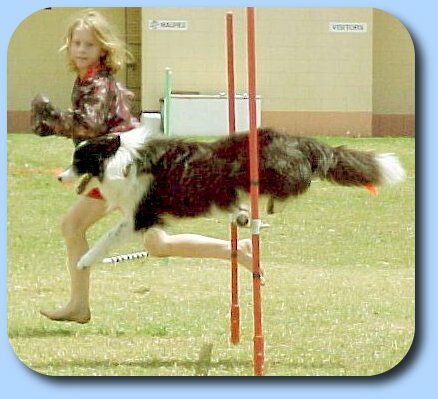 2003: Mr Garibaldi got it together this year and overcame injury to achieve his Jumping Dog Master (JDM) title. 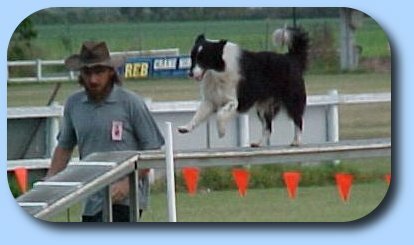 2005: Mr Garibaldi, mostly retired from agility, went back to his other favorite pastime of tracking and achieved his tracking dog (TD) title. 2006: Still retired, but he did get a Qual in Snooker Dog. He also had some very nice runs in ADM.
See Garibaldi's Page for more. Always happy, never real serious.